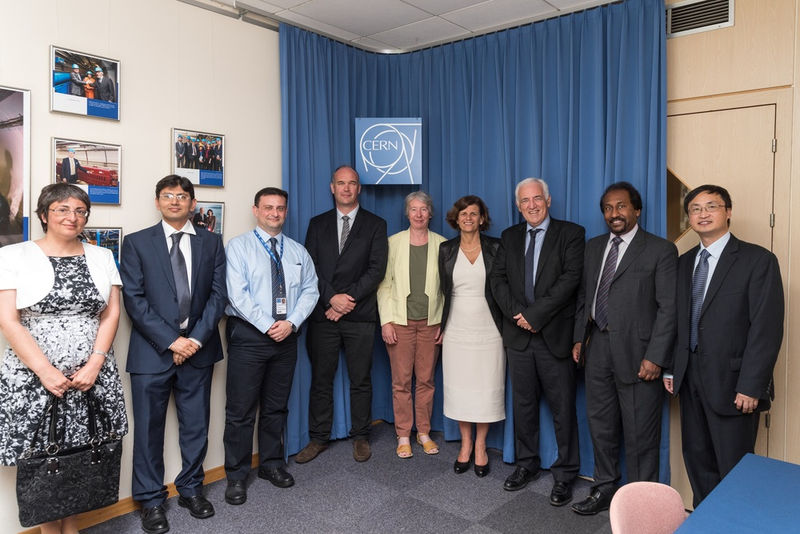 Professor Kathryn Mitchell, Vice-Chancellor at The University of Derby, has visited two of the institution’s international partners, CERN and Roche, to encourage further collaborations between Derby and Switzerland. The University of Derby is working with two teams at F. Hoffmann-La Roche, AG – a leading pharmaceutical and diagnostics company. Via a research collaboration set up with Roche in 2012, the University is responsible for investigating and delivering better clinical intelligence and integration to benefit patients’ needs. Delegates from Derby also visited CERN, the European Organization for Nuclear Research and one of the world’s largest and most respected centres for scientific research, which led to two new agreements. One agreement will see the University become an associate member of ALICE (A Large Ion Collider Experiment) and the second is with the wider CERN community. These agreements have created opportunities for the University’s staff and students to develop cutting-edge research activities in the field of high-volume streaming data analytics, as well as enabling the University to co-ordinate significant Science, Technology, Engineering and Mathematics (STEM) outreach projects with secondary schools. Professor Nick Antonopoulos, Dean of the College of Engineering and Technology at the University of Derby, said: “The visits to Roche and CERN were extremely important. We have strategic partnerships with these two firms, allowing the University of Derby to showcase and apply the expertise of its staff and students to groundbreaking real-world challenges”. “We hope to strengthen the partnerships we have in Switzerland with Derby in the future and help develop vital research”.